Yes its an alpha but ouch. Screenshot from 12alpha build 1213, updated to new 12.72 with same result. 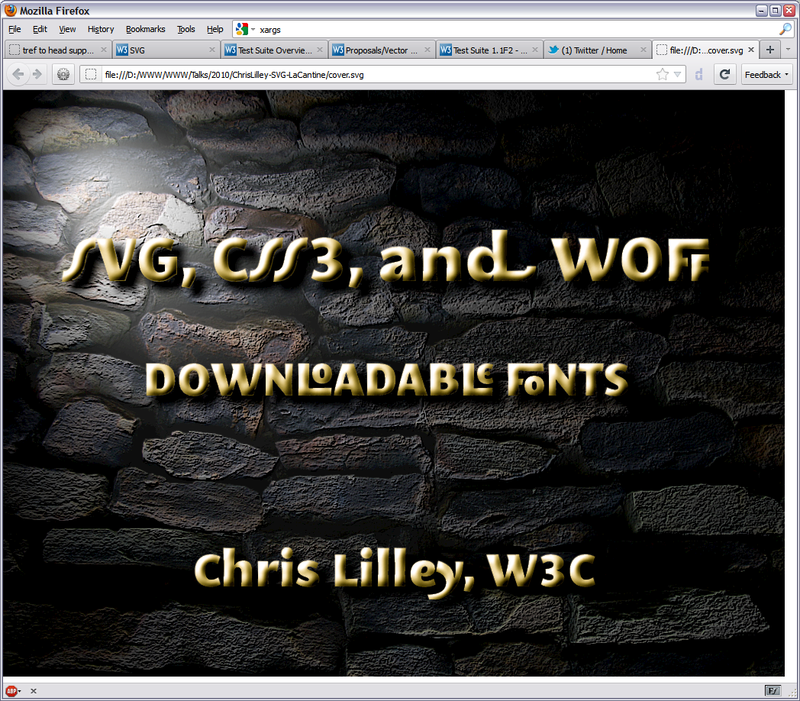 Seems unrelated to filters, may be related to OpenType fonts in WOFF. 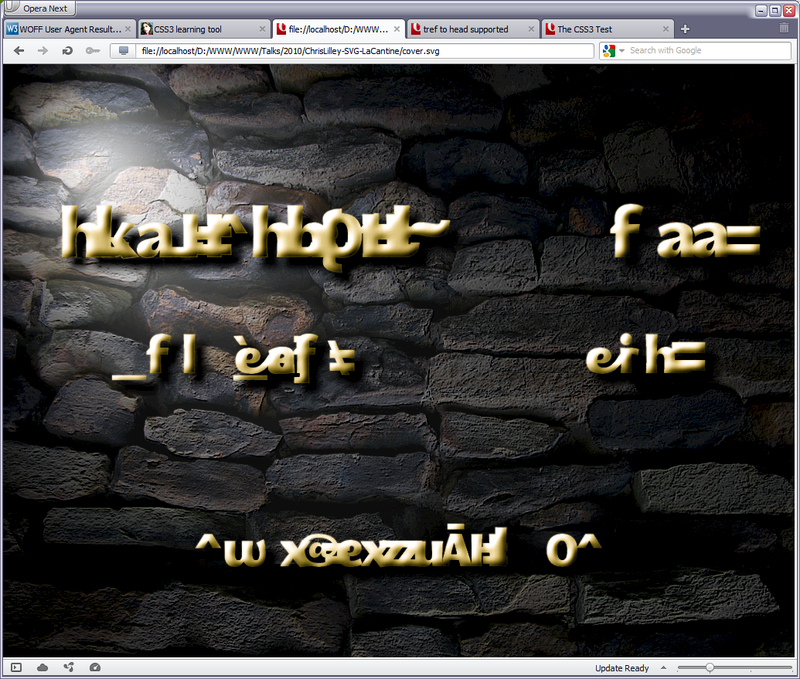 Screenie from Firefox 10 for comparison. Next message: Karl Dubost: "Re: Text breakage in Opera 12alpha"
Next in thread: Karl Dubost: "Re: Text breakage in Opera 12alpha"
Reply: Karl Dubost: "Re: Text breakage in Opera 12alpha"